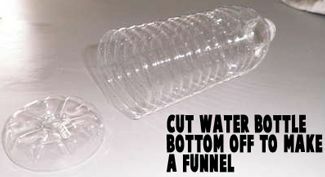 Cut water bottle bottom off to make a funnel. 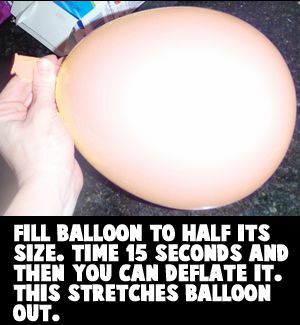 Fill balloon to half its size. Wait 15 seconds and then you can deflate the balloon. This stretches the balloon out. 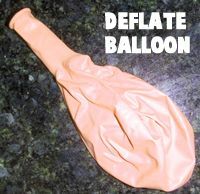 This is what the deflated balloon should look like. 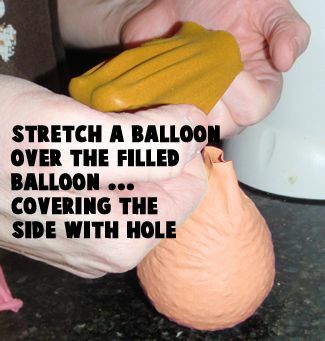 Stretch the balloon over the top of the bottle. 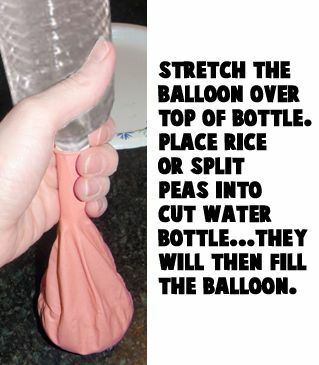 Place rice or split peas into the cut water bottle…. they will then fill the balloon. 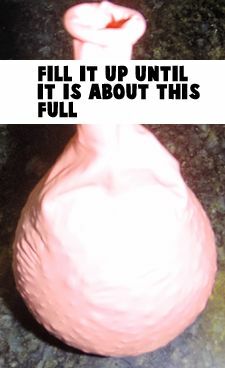 Fill up the balloon until it is about this full. 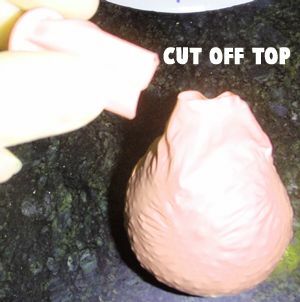 Cut off the top of the balloon. 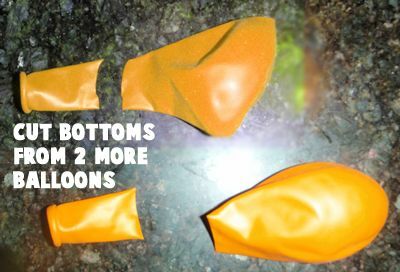 Cut bottoms from two more balloons. 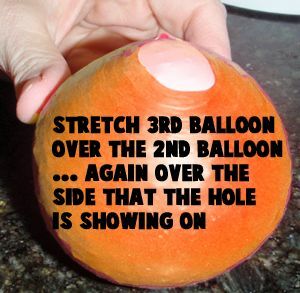 Stretch a balloon over the filled balloon… covering the side with hole. Stretch 3rd balloon over the 2nd balloon… Again over the side the hole is showing on. 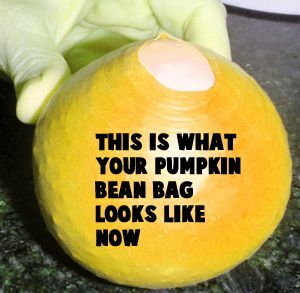 This is what your pumpkin bean bag looks like now. 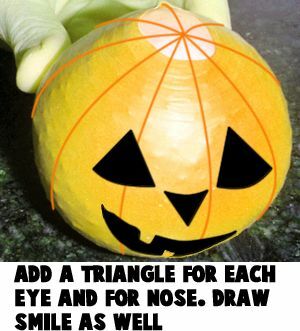 Go to Our – How to Draw a Jack-O-Lantern Drawing Tutorial to draw the face…or just add a triangle for each eye and for the nose. 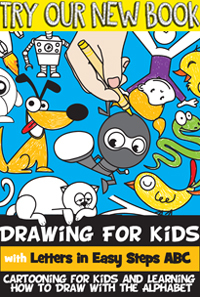 Draw a smile as well. 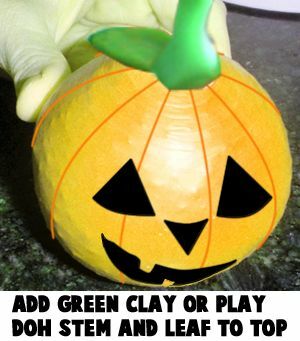 Add green clay or play doh stem and leaf to top. And there you go. You have just made an original Halloween decoration for your house…. 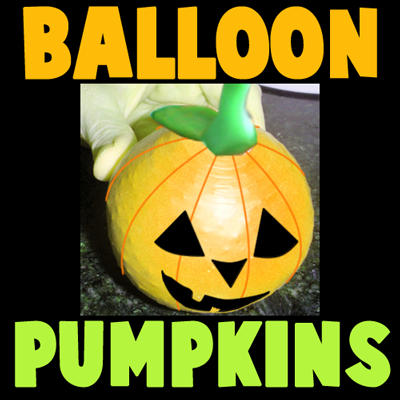 a Halloween bean bag balloon pumpkin. Display it proudly. And, have a very scary Halloween.